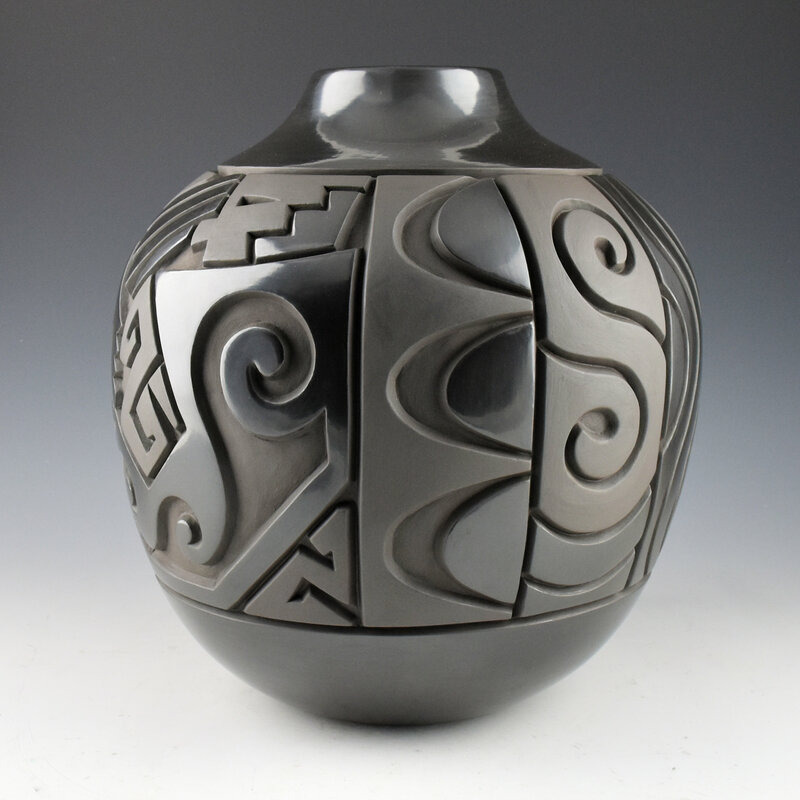 This is the largest jar we have had by Daniel Begay. 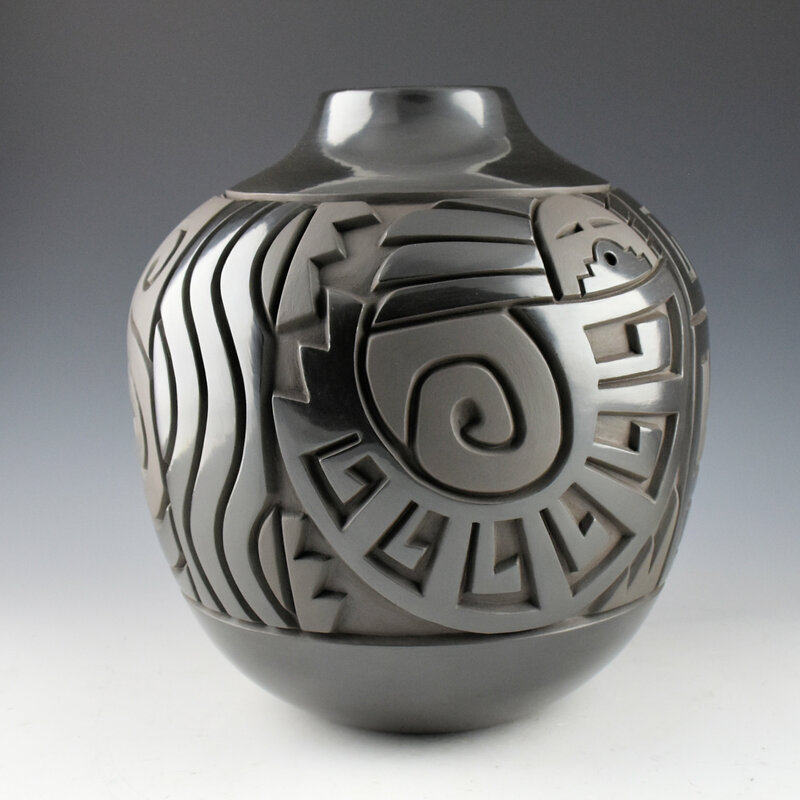 He learned to make pottery from his father, Harrison Begay, Jr.. Each piece is coil built, carved, stone polished and traditionally fired. 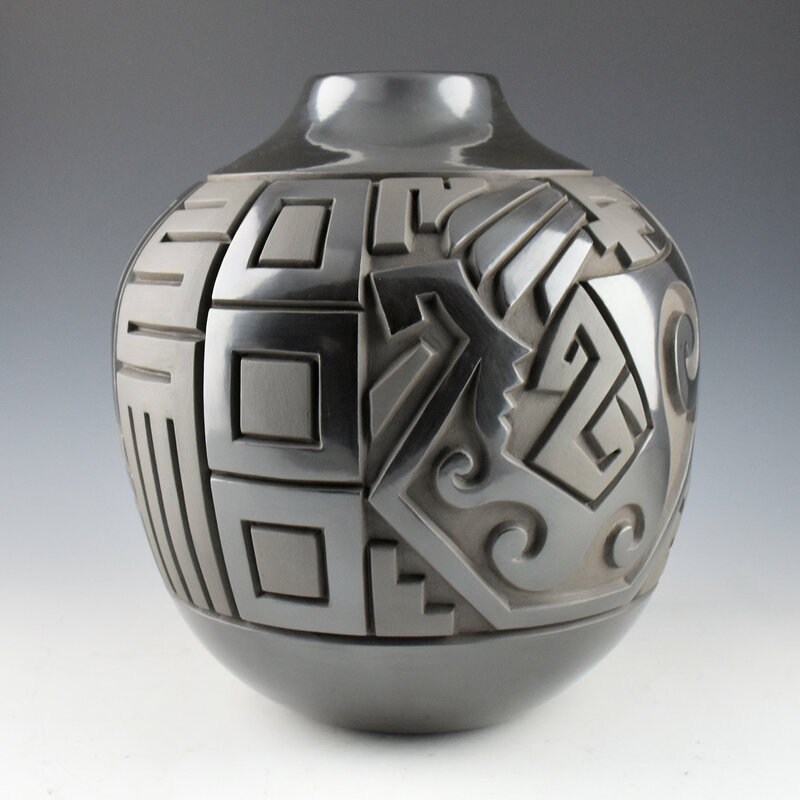 Daniel has created a distinctive style of carving, similar to that of his father, yet with more angular and graphic designs. 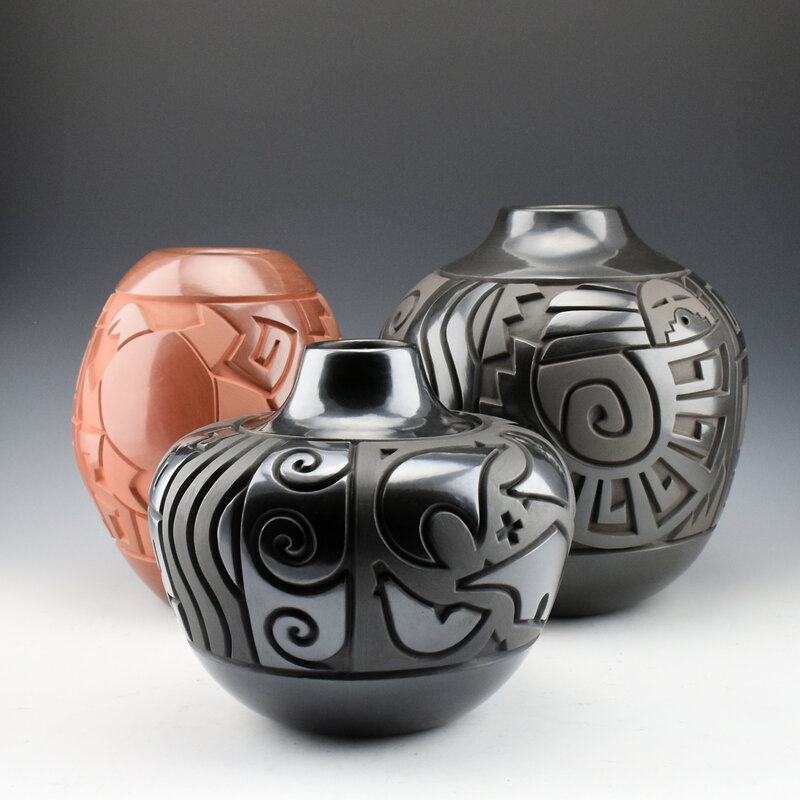 This jar has a more distinctive storage jar shape with the rounded sides. The design has two Yei figures which are intricately carved into the clay. The bodies of the Yei figures swirl around the sections of the jar and they are separated by cloud, water, earth and rain designs. 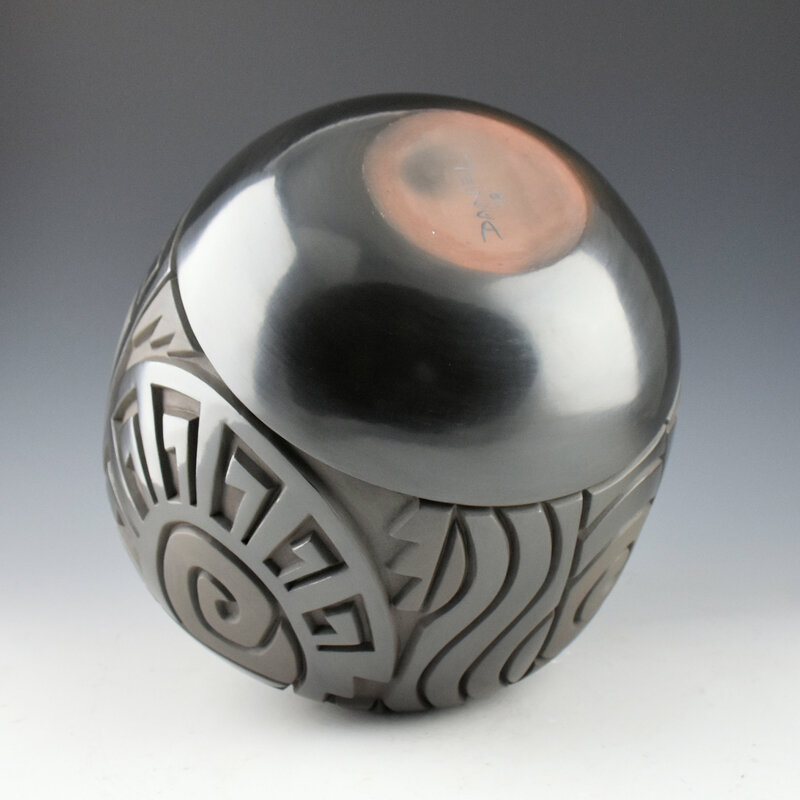 There is a striking contrast between the polished and matte surfaces, which adds to the sophistication of the imagery. Note how Daniel’s designs combine both thin and thicker lines to enhance the imagery. 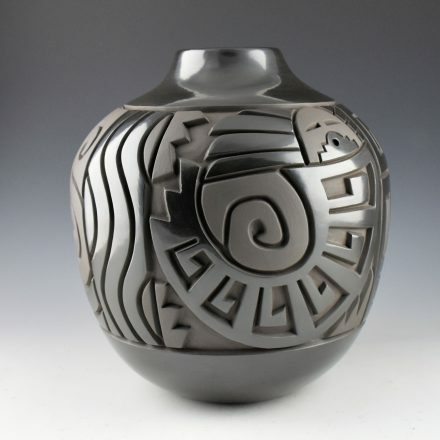 The style of carving has a beveled appearance to the angle of the cuts into the clay. The jar is signed on the bottom in the clay.